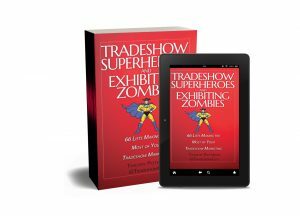 As an exhibitor, you’ve got most of the moving parts handled: logistics, schedules, booth staff up to speed on how to handle prospects, ask opening questions and so on. But what’s the last thing you should do once you have converted a prospect into a lead? It’s a step that a lot of people in sales, especially newer ones, tend to overlook. And it’s easy to let this critical piece slip by quickly. At the beginning of the visit, you clarify if the visitor is interested in your product or service by asking good questions. During the conversation with them, you’re asking more clarifying and confirmation questions. But what about the very last step? Confirming everything before they leave. Make sure that their business card or scanned badge info is accurate down to the email address and phone number. If you can’t get back to them easily, they’re lost. Confirm the next step: when you’ll call (or write, or visit), what that next step entails (more product information, order sheet, longer product demo, etc. ), what you might need to send them prior to the call or visit (sell sheets, white paper, etc.). 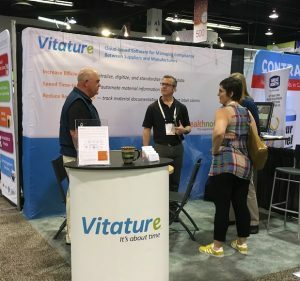 In every sales meeting – and let’s be clear that a tradeshow visit that gets this far and turns a prospect into lead is definitely a sales meeting – the last step before parting is to confirm what the next step is. The challenge that comes up if you don’t clarify the next step is that you may forget. Or your lead may be unclear what to expect from you and when. Better to take an extra minute so that there is no mutual mystification. Make sure you both know what’s coming next and when.